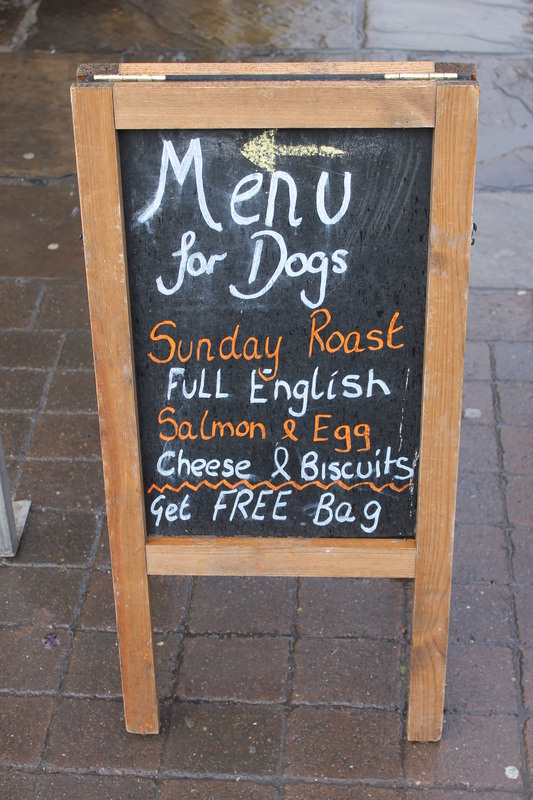 Trip to York – Tasting the World – On the road, with stuffed hand luggage and face. Camera in my hand. In this post I´m travelling back in time to January (the time flies so fast!) when there were two of my Czech friends visiting me here in Stoke. One day we visited York. It was a cold morning and there was even some snow on the hills of the Peak District (read my previous post here). York has a pretty historical centre with preserved old houses, as opposed to other rather industrial-looking cities like Manchester or Birmingham. We went there on Sunday and the streets were full of people. It felt so nice to be there! The atmosphere was very friendly. Interesting places in the city: I saw a really interesting shop, it looked like something between antiques and a design shop. It was the kind of shop where it seems you can buy virtually anything you can imagine. 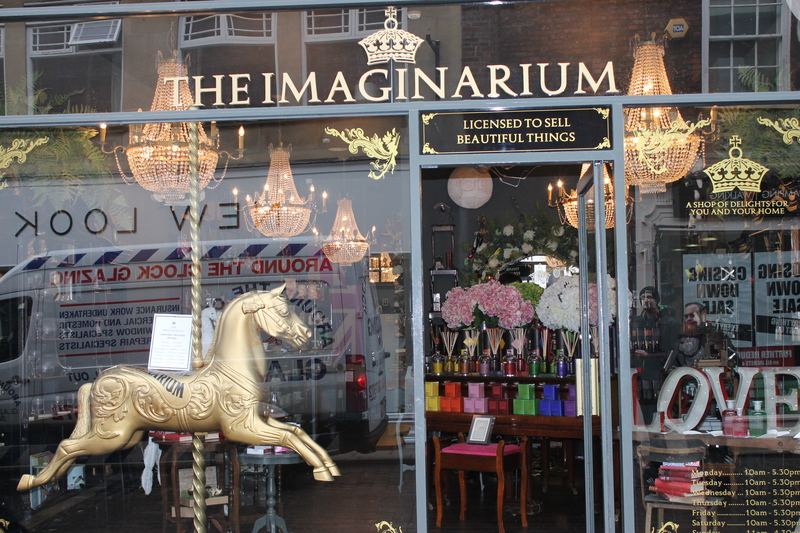 And really, its name was Imaginarium. I liked their sign over the entrance door – “Licensed to sell beautiful things”. Another place that drew my attention was Bettys Cafe Tea Rooms. From outside it looked like some kind of good confectionery. They must sell really good stuff, because the queue was going outside the shop and around the corner! I did see some pretty nice cakes in the shopping window… If I go to York once again and there´s not gonna be a queue, I´m gonna taste something. We finished our sightseeing tour at the York Castle. Nowadays all you can see from the castle is a Norman keep, which sits on a characteristic hill. It was closed for research and reconstruction, so we couldn´t really walk in, but the nice lady in the ticket office kindly told us many interesting facts about the history as well as about the research. After that we headed to the car park. 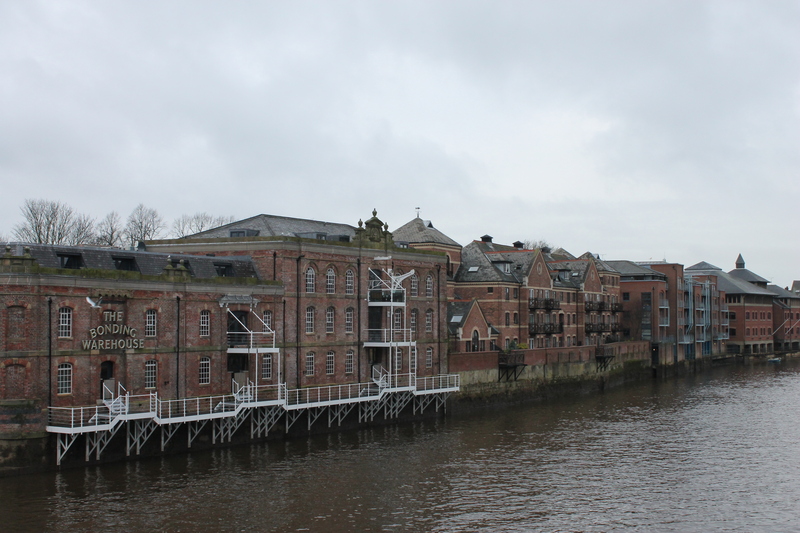 We crossed the river with one bank lined with old warehouse buildings. On the way we also stopped for a beer in a local pub, which had amazing wall decorations made from old maps. 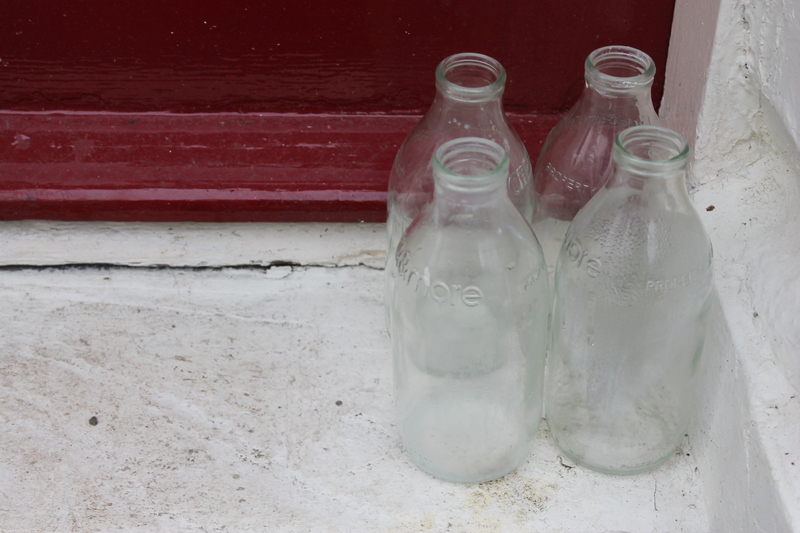 At the door of a house next to the pub I saw something I thought nowadays doesn´t really exist anymore, maybe in the countryside, but I definitely wouldn´t expect it in a city – milk bottles waiting at the door to be collected, filled and brought back. To me this is a bit retro and I wonder whether it was there for decoration or if they really still deliver milk from some farms like this, even today. As you can see, there´s lots to see in York, either if you are interested in history or you just want to stroll around and enjoy a day off. I definitely recommend to visit this place and hope I can come back one day myself.